Patrick is currently finishing up a one-year internship with Crowe. 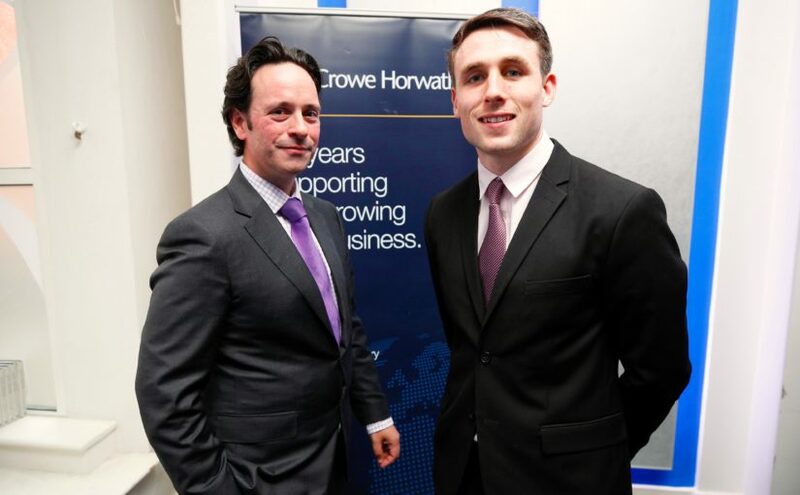 A student entering his final year of Business Studies with DCU, Paddy was participating in Crowe’s internship programme with DCU. He plays football for Castlebar Mitchels GAA and has also represented Mayo in the All-Ireland Senior Championship since the age of 20, coming runner up in 2016. In an interview with Crowe, Patrick reflects on the past year and the challenge of balancing work and his commitment to football. Patrick’s playing year kicks off in January with the Connacht League, which finishes in February, in time for the National League. The National League serves as a good mental and physical build up to the Connacht Senior Championship which usually begins in May or June. Connacht is made up of the 5 counties – Galway, Leitrim, Mayo, Roscommon and Sligo – and also includes teams from London and New York. The four winners of each province along with the four qualifiers (in the championship if you lose a game you still have an opportunity to progress through the qualifiers – like a back door that gives everyone a second chance) enter the quarter finals. Mayo reached the All-Ireland final last year, narrowly losing out to Dublin in the replay after the first meeting ended in a draw. The two teams that get to the All-Ireland final each year get a team holiday, so Patrick got to enjoy a wonderful break in South Africa after last season, a small consolation prize for losing out on his dream of lifting the trophy. So Patrick faces a busy schedule each year (and that doesn’t even take into account playing for his university – which he did last year!). But, if his year looks busy, his week is positively frenetic! A typical week for Patrick involves splitting his time between his work and study base in Dublin and his family base in Mayo. He will drive up and down 3 times a week, spending as much as 20 hours in the car. Saturday & Sunday – games can be scheduled on either day at the weekend and often involve travel as they can be anywhere in the country. If the game is Saturday there will be a recovery session on Sunday morning, usually involving some restorative pool work. Patrick admits his friends are very understanding – “There has been many a wedding and social gathering that I have missed” – but they understand his passion and commitment to the sport. And there is little by the way of negative peer pressure if his friends are out going to pubs and clubs. Nutrition has become a major part of a sports person’s daily routine. Patrick follows a strict regime, which is devised with the team’s nutritionist and tailored to each player’s requirements and preferences. On training days for lunch he will load up on carbs – eating double a normal day’s portion for energy – which will be burnt off that evening. His diet will also contain a lot of protein to help repair and maintain muscle mass. His ambition is to win an All-Ireland medal. Sport will remain his main focus for now, but he knows there is life after football although he hasn’t fully considered what he will do. While only 22 he can still look forward to another 8-10 years playing at the highest level. After his stint with Crowe he could see himself pursuing a career in corporate finance but would need to consider closely where he bases himself. “The last year has been challenging – with so much time on the road. I have really enjoyed my time with Crowe, but I am not sure yet on what path I will pursue. I am also interested in sports psychology, so want to explore my options.” When his playing career finishes he could see himself staying involved in the sport – perhaps in a coaching role. Best of luck Paddy with the rest of the season and your studies. Keep in touch!